Welcome to the home of Team Roll Out! Hey I hope you like my website. I just added a bunch of new games and hand signals. If you have any suggestions just email us or out it in the guest book or forum. Also there is new paintball show that is going to be on tv I think it will be pretty cool you all should check it out. What's Co2 and why do I need it? Why do I need goggles? First time, what to do. A cool club for people who own spyders. You parents wont let you play? Click here! 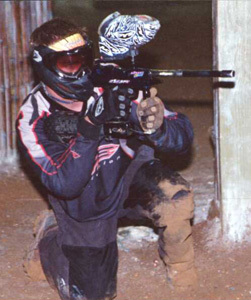 I will also want to say thanks to paintball.com for letting us use there pictures.